It's hard to believe that the Discovery show, Deadliest Catch, is on it's tenth season already (currently airing right now in Discovery Channel). Which means that I've been watching this show for 9 years already. This makes it count as an entry for the Nostalgia section of this site. Season 1 was the only season I wasn't able to watch but the love affair for this show started somewhere in Season 2. I was just couch surfing at that time, not really having anything in mind to watch. At some point it became background noise for me as I was working on the computer by the time that episode was ending. Then it turned out that Discovery was doing a marathon showing, where in the next episode was immediately broadcasted. By the time the day ended the brainwashing had already set in and I was hooked and eager to watch the next season. 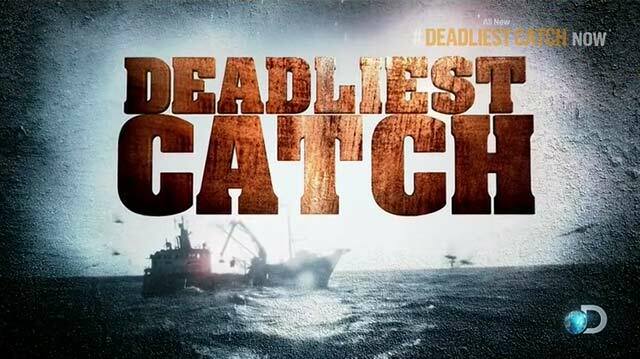 The show's title comes from the fact that Alaskan Crab fishing is considered one of the most deadliest jobs to have because you are catching crab in one of the most hostile environments ever, Winter season in the Bering Sea. Aside from the main show, it also spawned some other shows such as After the Catch and The Bait as extension shows adding more filler. Some of the ships and the crews themselves in the series have already achieved fame because of the show. Some have even ingrained themselves into modern pop culture. Case in point was when Sig Hansen, the Captain of the Northwestern, gets to voice Crabby the boat in Pixar's Cars 2. Crabby was an anthropomorphic version of the Northwestern in the movie. As reality show goes, you can't help but think that some of the human incidents and interactions on board are staged but then the entire experience of crab fishing is something that can't be faked. What really draws me to the series isn't the storyline or the human element, but rather there is something serene, calming and gratifying for me to watch people catch the creatures from the sea. Maybe it's because I grew up having some of the best moments of my life happen by the shore. There was also a phase in my life where I spent long days fishing in the huge canals by the seashore in the farm that my Dad worked in. I was around 6 years old that time and I just spent the entire day with a can full of worms, with a stick that had a nylon string attached to it and with a hook on the other end. Best Days of my life ever!